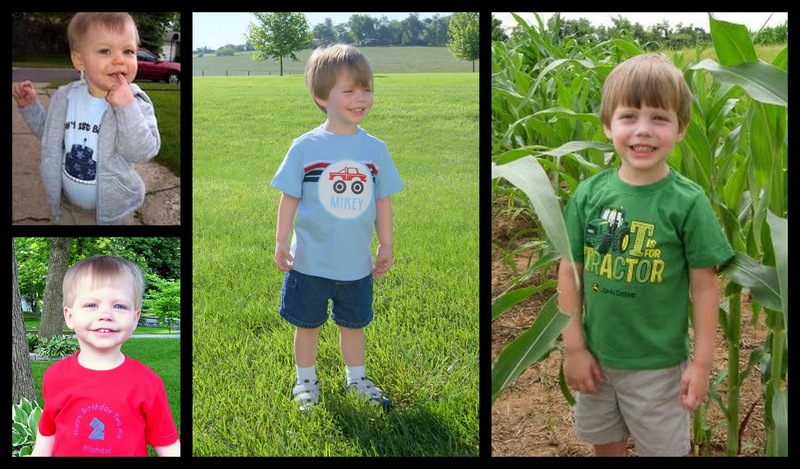 My "baby," boy turned 5, at 2:31am, and I am still in awe! Michael Jr. is not a baby, and I have to remind myself of that fact. He is very independent, and every day he tells me I can do it or let me try. He is like his father in so many ways, I often wonder if he has any of my traits. Mikey loves anything with wheels, and building with any material. (Just today he built a "firehouse," out of blocks and everything else he could find to use.) He is beyond excited to be going to school, and can not wait to ride a school bus. My little boy, has many adventures planned this year, and cant wait to face them head on! Ryan, Daddy, and Mommy love you so much! We hope your special day is exactly what you asked it to be!